When you imagine an image of a generic metal guitarist, I think it’s easy to go straight to an image of some dude in front of a half stack at a small gig, or a wall of stacks at a bigger gig. Let’s face it: most of us are not playing ginormous stages, and have to lug our gear in and out of venues ourselves, and usually get there via an average car rather than a van or truck. A combo is much easier to fit in with a guitar, backup guitar, pedalboard, and that band member who doesn’t drive. There’s also the matter of balancing cost with tone. A half stack rig will typically be more expensive than a combo. Let’s say your budget is $1,000: you can probably get an amp head with digital modelling that has a metal setting, that you’re never going to get to fully crank anyway, or, you can a decent tube-driven combo amp, that’ll come with a bit of warmth, and a generally rounder, fuller, and better quality tone. For this roundup, I’ll take you through a few of the high-quality combos on the market that will be well-paired with a metal player. It’ll cover a range of budget, and focus on tube-driven amps: these are the best! 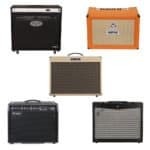 If these are still beyond your budget, the metal setting of a modeling amp may well be your best bet, but a round up of the metal settings of modeling amps is a different listicle. With this in mind, there aren’t really alternatives for most of the amps here. 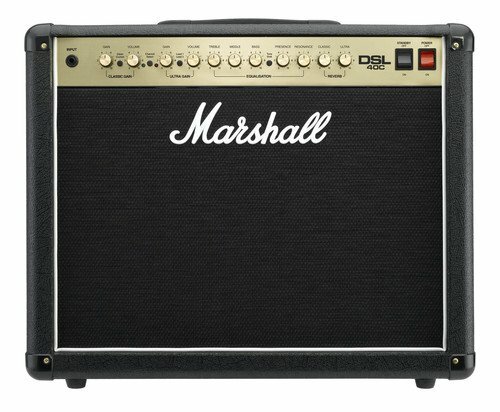 The market for dedicated amps for metal players is very small. Now, isn’t this just the diddliest? This may not be a gigging amp, but it packs more than enough of a punch for practicing your shredding, and for recording sessions. It has just one single watt of output, which sounds measly, and you know, it a lot of amps it would be. Namely solid state ones. However, this packs a couple of tubes into its diminutive casing, which makes things a little louder than you might expect: the sound here will be cranked by an ECC83 and an ECC82. This is not an amp that will intimidate. It only has a single eight inch speaker. But, we’re looking specifically at voicing here, and with that in mind, this little combo certainly won’t disappoint. In case the name didn’t give it away, this little amp has been voiced and set up to play all of the metal. Looking at the top panel, and the Metal 1 comes with a minimalist control selection as far as amps go. You’ve got three jack plugs: one for your input, one as a kind of auxiliary input for attaching an MP3 player or something, and then an output which you can use for headphones, or as a line out for recording directly. The controls you have at your disposal are gain, volume, EQ, and reverb, as well as a button for overdrive. It’s all very tidy. The EQ isn’t like a regular EQ though. It’s actually Blackstar’s trademark ISF control, for deciding whether you want a UK sound, or an American sound, or a blend of both. 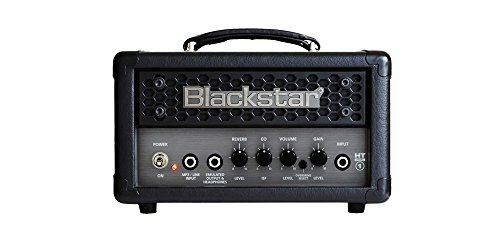 Blackstar HT Metal 5 – the Metal 1’s big brother, with a 12 inch speaker, independent tone controls for each channel, as well as a full set of EQ controls. I’ll be honest, this isn’t the most metal of metal amps. To be fair, Marshalls are best known for rock, particularly that of a blue-inspired nature. It’s not the first name that comes to mind for metal. In saying that, they can be cranked sufficiently to head in the right direction, particularly if you favor old school metal from the UK – I’m thinking the likes of Saxon, Judas Priest, and of course, Motörhead. This is quite the tube monster for an amp with a single speaker, giving your playing so much clarity. It’s pre-amp rocks three ECC83s, while its power amp rocks another EC883 and two EL34s. That’s quite a lot for such a modestly sized amp! 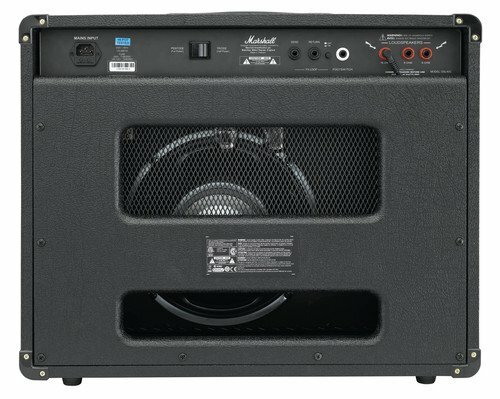 It comes with a single 12-inch speaker – a Celestion Seventy 80 – and runs at 40 watts. For most of us, that really will be plenty. The key feature here will be the Ultra Gain channel. I guess the name of that channel gives its intention away! But yes, head there, crank it up, et voila: a pleasant metal tone with plenty of definition and clarity. There aren’t too many surprised on the top panel. You’ve got your usual EQ controls, with a not so usual knob for resonance, and a Reverb control for each channel. Each channel has its own gain and volume controls, and the Ultra Gain channel comes with additional Lead 1 and Lead 2 controls. It also includes a footswitch for you to switch from one sound to another while you’re playing onstage. 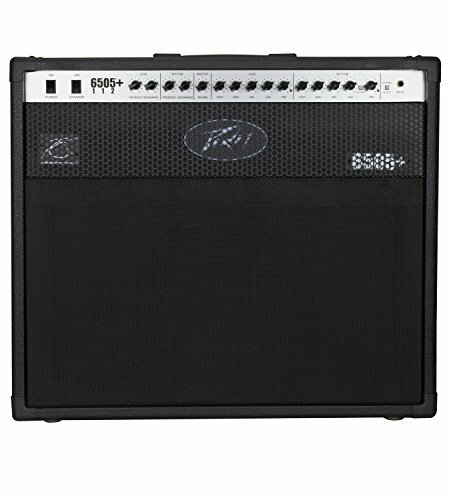 Peavey’s 6505 head is very much an amp with a longstanding positive reputation in metal, favored by the likes of Trivium, Bullet for my Valentine, and Machine Head, and it now comes in combo form. If the aforementioned bands float your boat, this could be a good solution if you need thing something more compact for not playing in venues the size they pack out. Looking through the specs of the Peavey, it essentially looks like a souped up version of the Marshall we just looked at. There’s nothing wrong with that, and actually is probably a bonus for playing the metal. This boasts a 60 watt RMS, and a Sheffield speaker. But the real winning spec with this amp is the fact that it’s an absolute tube-fest! Five 12XA7s in the preamp and two 6L6GCs in the power section! That’s some muscle right there! It comes with two foot-switchable channels, each with its own EQ controls. The footswitch is sold separately, which is standard, but I always feel that’s a bit of a pain. Built-in reverb on an amp is no big deal, but the reverb on the 6505+ is a little bit special. It’s a genuine old school spring reverb, made with three actual springs! It’s very rarely you’ll find that these days – usually it is a digital feature. It does also add to the weight of the amp, which will already be heavy enough with all of those tubes. I feel like I should start this by clarifying two things. First, ignore that MSRP – you can get these for around $700. Secondly, This reviewer is a Laney user and quite the fanboy. One of the worst things about the United States is how rare Laney dealers are. They are a British brand, based in the West Midlands. While they do make several models in the east, the Ironheart is their flagship line, so these are designed and made in England. Their best-known user is Black Sabbath’s, Tony Iommi. It doesn’t get more metal than that! Sabbath hail from the city of Birmingham, which is where Laney’s first shop was before they moved a little bit out the road to Halesowen. Company history aside, this is a fairly killer amp in such compact housing. I feel like this is a bit of a hybrid between the Marshall and the Peavey. It’s got three ECC83 tubes in the preamp, coupled with a pair of 6L6s for power. It has a 30 watt RMS, which sounds quieter than the 60 watt Peavey, but this is not a quiet amp! You’ll have three channels at your disposal: clean, rhythm and lead. It has a line-in for an MP3 player or another external audio source, which I find a little odd on an amp at this price that’s clearly aimed at seasoned players. A subtle feature the Ironheart includes is an attenuator. Full capacity output is fine for gigs, but if you’re in your living room, it’s likely that you’ll want to tone it down a bit, without compromising on your tone. This will help with that. Laney Ironheart IRT60-212 – If you like the sound of what this amp offers, but worry that it may not have enough “oomph,” it has a bigger brother with 60 watts RMS, and an additional 12-inch speaker. 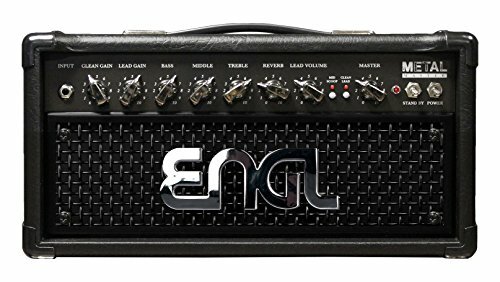 If you’re not familiar with Engl amps, I’m sad for you. They’re made in Germany, with a focus on quality, and boy, do they make the most of the famed German precision. Like many others on this list, the Metalmaster started life as a head and was later ported to a tidy little combo. There isn’t actually too much to say about this amp. It’s very much a case of building a quality amp with outstanding parts and craftsmanship, devoid of bells, or indeed whistles. The speaker is a 10 inch G10N-40 from Celestion, and the 20 in the amp’s name is it wattage. Duh. Its preamp comes with two ECC83 tubes, while its power amp includes two EL84s. All good. It comes with two channels, and here’s where I think some players might be put off. You can switch between channels with a footswitch, and that’s lovely, but they have a shared EQ. With the price of this amp, I’d expect more versatility for my dollars. I know we’re considering this in terms of metal players, and that’s generally a loud and heavily distorted affair. If you literally have zero intention of ever expecting to need a change and use the clean channel, by all means, give this one a go. 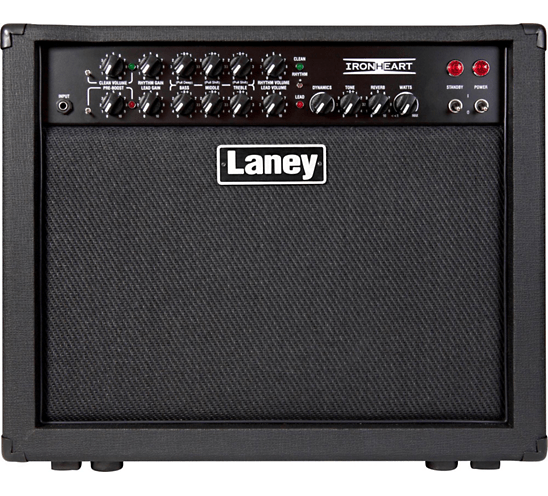 Engl Metalmaster 40 – like Laney and Blackstars we’ve looked at, this Engl comes with a more powerful big brother if you need. Whenever there’s a listicle of metal amps, it’s likely to be headed up by Diezel. They’re not a massively popular brand, but I’m very certain that’s to do with the cost. It’s a bit prohibitive to many players. Diezel is a Swiss brand, and are actually pretty difficult to find in the United States. They claim this combo version of the Einstein is more vintage sounding than it’s head/cab alternatives. Personally, I think it’s all relative. The preamp of the Einstein has a 12AX7 tube, but in the power amp section, you’ve actually got a choice of what tubes you want. You can choose from two EL34s, 6550s, 6L6s or KT88s. Picking on the cost of this amp again, I feel like, at this price, a little bit of choice and customization is no harm. It’s 50 watts strong, and come loaded with a 12 inch Celestion speaker. The channel options are interesting. You’ve essentially got four options, but I find the way it’s structured pretty weirdly. Within Channel 1, you have three selectable modes: Clean, Texas, and Mega. Texas is intended to give a classic rock sound, while Mega is aimed at hard rock. Then channel 2 is simply called lead, and that’s where you metallers will want to live, amongst all of its cajones-induced, squealing high gains! That’s all fine, but I’m not sure why they didn’t treat all of those as four separate channels. If you’re a metal guitarist and want to get the best quality metal sounds in a rig that won’t be a pain to put in the back of your car, hopefully, this list will give you a few ideas. 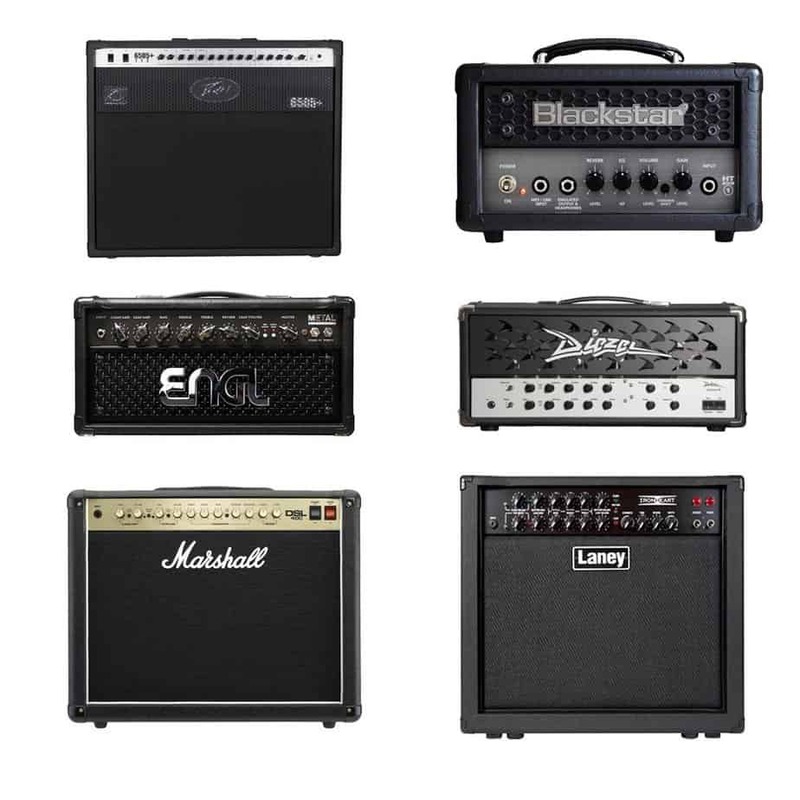 These amps really are the best of the best, and you will have to pay for that quality. As I said at the start if you’re on a tighter budget, it’s difficult to find a modeling amp that won’t have a metal preset, but you will be sacrificing the warmth of these tube-driven babies. As always, the best thing to do is to head down to your local guitar store and try them. See how they sound to your ears and your own style of playing. Tube Amps vs Solid State Amps: Which Is Better For You?